tour to Vardzia takes place in a region of Samtskhe-Javakheti. 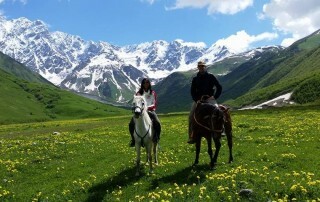 On their way from and to Tbilisi tourists will pass regions Kvemo Kartli and Shida Kartli. Central point of the tour is Vardzia cave monastery complex in upper valley of the river Mtkvari, which used to be main transit road between central Georgia and Turkey, earlier Byzantium. So this places used to play important role in medieval Georgian politics, economics and culture. That’s why here are located so many historical monuments on a comparatively small area. 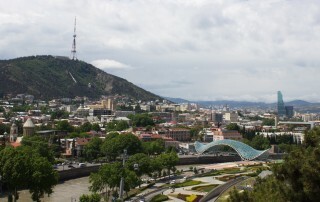 Drive from Tbilisi to the north-west, by main highway. First destination – town Borjomi – resort town in Borjomi gorge. The place with famous mineral water springs. Walk in Borjomi park, taste famous mineral water. Drive to administrative center of the region – town Akhaltsikhe. Visit renovated Rabati fortress. Visit Sapara monastery located near the city Akhaltsikhe, in a forest, built in X century. Complex is in good condition and most frescoes are preserved. Saro – village, with ruins of ancient fortress, a church of Archangel (IX c.) where the style of most houses hasn’t changed during last centuries, so it looks like an open air ethnographic museum. Overnight in farmhouse “Tirebi” village Nakalakevi. Tsunda church and lake – this church is the only building left on the place of ancient town Tsunda, (opposite side of the river, which flows from Tmogvi). The town tsunda dates back to IV century BC, and the church is of VII century. The town was abandoned after X century when Tmogvi became the center of the region. The lake is near the church. Vardzia – the most popular place in the valley. Cave monastery complex built in second half of XII century, during the reign of King George III and King Tamar. There are up to 300 caves distributed on eight levels. In main church of Vardzia original frescoes of XII century are still preserved. Khertvisi fortress – one of the oldest fortresses in Georgia. It was functional throughout the Georgian feudal period. 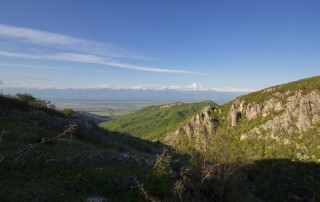 It is situated in Southern Georgia, in Meskheti region. The fortress was first built in the 2nd century BC. The church was built in 985, and the present walls – in 1354. Sagamo lake – located next from Paravani lake, on altitude 1996 m, surface area of 4.8 km². 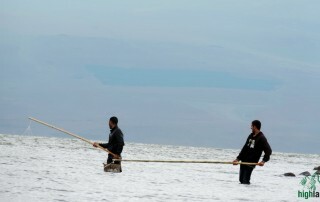 Its maximum and average depths are 2.3 and 1.6 meters respectively. Total distance to drive – 600 km. *Price might change in future. *Price includes: transportation, guide service, museum entrance fees, guesthouse “Tirebi”, double rooms, HB meals.